If someone were to ask you about the different settings for horror movies, you might be inclined to say there’s a scare flick for everything. It’s easy to feel that way simply because there are so many films in this genre. But then when you actually stop to think about it, it’s hard to name that many different settings or backdrops for horror movies. There are creepy cabins in the woods, small haunted towns, big haunted mansions, and various times and places associated with specific fantasy or sci-fi themes. And that seems to cover about 90 percent of these films. Keeping that in mind, we wanted to write up a few fun suggestions for settings for future horror movies. Earlier this week, we wrote a post on three things we think are evil simply because the media has said so. 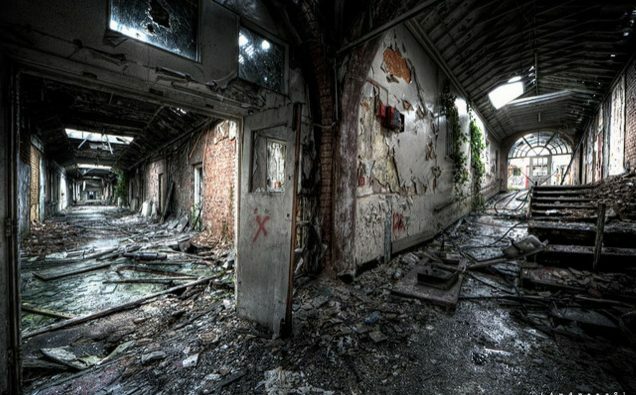 Here, we’re going to look at three places that should be made evil in the interest of original horror films. So here goes…. No, we’re not talking about the funniest show on HBO. And yes, Silicon Valley probably sounds like a bizarre setting for any kind of horror movie. Generally, it’s presented as a bright, sunny, clean place filled with blossoming tech companies and brilliant nerds. You probably imagine it as something between a town-sized amusement park and one gigantic Apple keynote event, and you might not be too far off. But even if most of us have a caricature-like image in mind regarding Silicon Valley, it’s a fascinating place that’s starting to make a real mark on history. Silicon Valley is becoming largely responsible for a generation of innovation that could legitimately alter the course of mankind. Indeed, a book about the world’s most creative places that came out earlier this year put the Valley in the company of ancient Athens. So, um, couldn’t some weird and creepy stuff be going on there? A beacon of human creativity is a perfect backdrop for a thriller or horror film involving supernatural conspiracies, unnatural occurrences and the like. It could simply involve a new start-up whose unwitting CEO gets deeper and deeper into dark secrets that explain the true nature of the Valley’s collective brilliance and influence. This may sound a little dull at first, but it’s not as if we haven’t seen horror films about people in dark rooms interacting with technology. Feardotcom and The Ring both come to mind. And the truth is that online casinos have grown big enough to support huge communities of players and massive amounts of activity. Many may not realize it, but the diverse gaming options at many platforms now include everything from roulette and slot arcades to interactive poker rooms and feeds to live dealers. There’s just a ton of activity out there in this arena. That’s all well and good in real life. But for a horror film writer and/or director, it makes for a gold mine of potential. There could be manipulation, mystery, unknown entities communicating online, and ultimately the potential for problems in digital gaming to follow protagonists home to the real world. Many of us operate daily with a vague, tiny concern that we might be putting too much of ourselves on the internet, and online gaming is a great way to play with that fear in a scary movie. The whole concept of escaping a room by figuring out puzzles and the like is one most of us tend to associate with gaming. 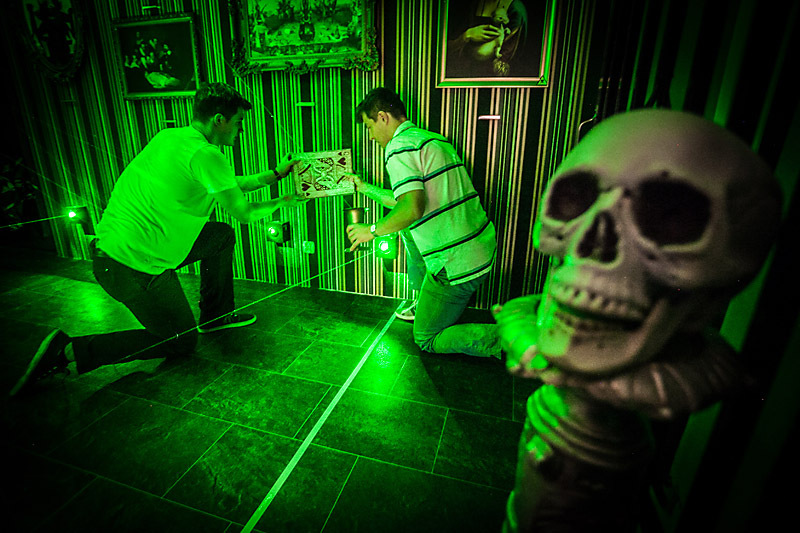 From text-based exploration game to visual puzzles and arcades, there are all kinds of “Escape The Room” games out there. But this concept is also becoming a popular attraction in real life, with various escape concepts popping up in major American cities as recreational attractions. This one doesn’t require too much explanation. A group of kids looking for a fun outing, signing up to be locked in a small room, and then finding out the game is more real and more dangerous than it seems is a very natural horror movie concept. What’s more, the setting could be just about anything, given that these rooms tend to have different themes and accompanying designs. Hopefully this provided some food for thought about where the genre could (or should) be headed in the coming years. Maybe someone with the power to fast-track a new scare flick will see this list and make it happen!